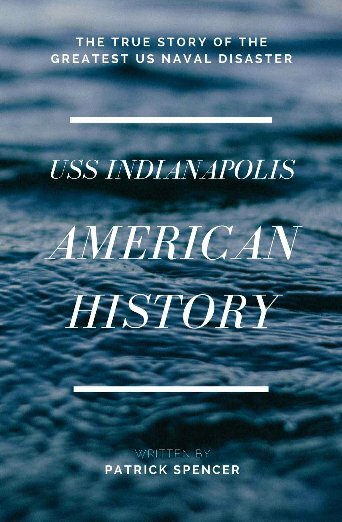 This book is a fictional reenactment of the true story of what happened to the USS Indianapolis in July, 1945, and the trial of its captain, Charles McVay. The cruiser has just completed a mission that was even secret to her captain and crew and was on her way back to base in the Philippines. On a foggy night, she is torpedoed by a Japanese submarine under the command of Hashimoto. In a matter of minutes, the American ship sank below the black waters taking 300 of her crew with her. Some eight or nine hundred men, many burned and injured, were floating in the shark infested seas. It would be five days until they were spotted by air, and by that time less than half remained. The most important part of this story is why was the ship was never reported missing, and how could the captain who has acted so valiantly to keep his men alive be charged with disobedience and negligence in the loss of his ship. This trial had a serious impact on the captain’s career and later life. What is even more astonishing is that it was not until a sixth grader named Hunter Scott decided to research the McVay trial that the true story became known. What was the mission of the USS Indianapolis and why was its disappearance never reported? Spencer’s reenactment of the tragedy allows the reader to experience the full range of emotions associated with this tragedy. Recommended for readers age ten and older, particularly those interested in American history and politics.